As you already know, I have been in Santorini in Greece for the past week with a few friends; Zoe and Alfie, Tanya and Jim, and of course Marcus. I landed back in England last night and I have been itching to share all of my photos with you! I dread to think how many photos I took throughout the whole holiday (there must be over 1000) so I have decided to write a blog post for each day of the holiday. You may have already seen the first day here. 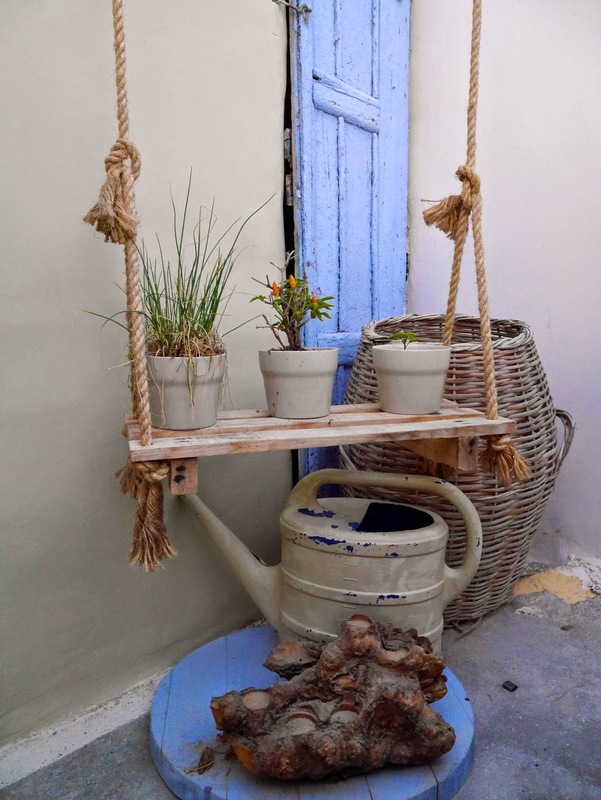 Today I am sharing with you snippets of our second day on the Greek Island. We spent the day lounging around by the pool, soaking up the sun and planning our evening ahead. We asked the hotel staff where we should go out for dinner, and there was one place that was repeated amongst them all, Katharos Lounge. 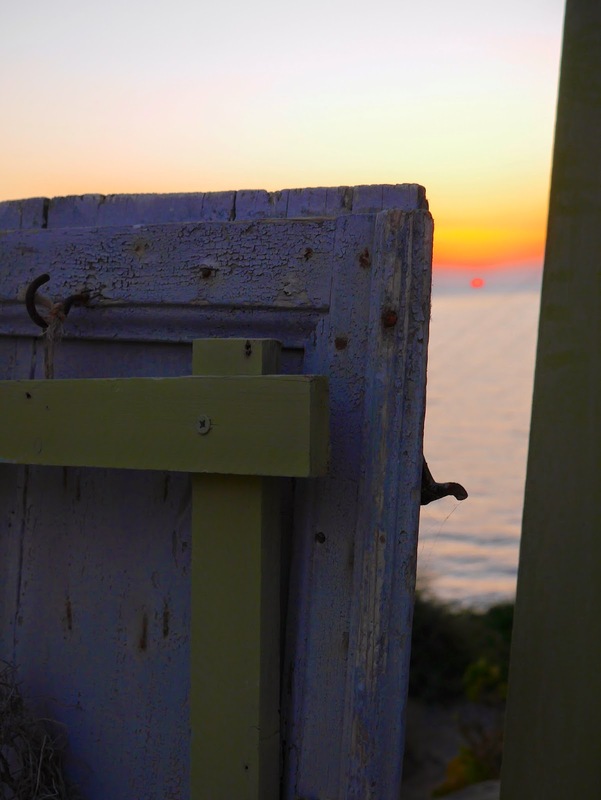 It is located just outside the town of Oia on a cliffside overlooking the sea and surrounding islands, with stone steps leading you all the way down to what looks like a shack. Once you’re inside you can really appreciate the beauty of the restaurant. 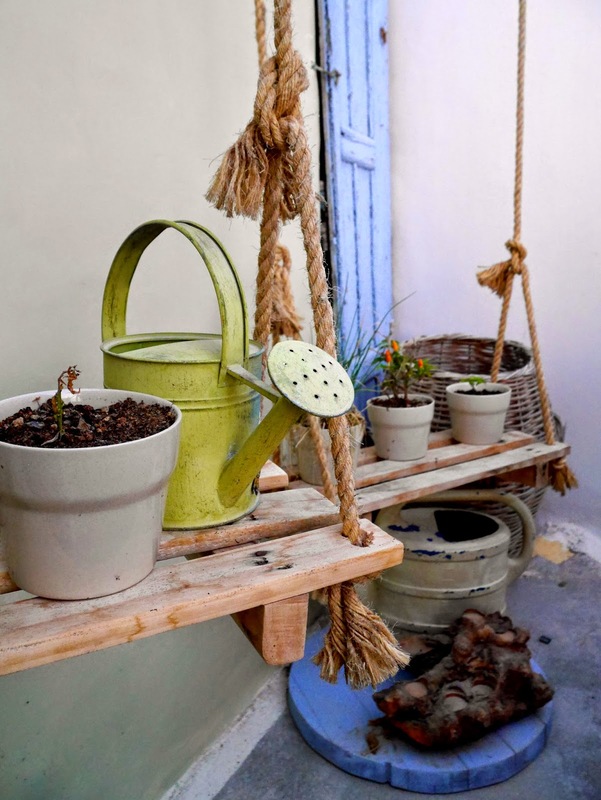 It is decorated perfectly, with flowers in glass bottles on every table, wooden swings with watering cans and plant pots resting on top, and traditional Greek shutters painted in blue. But the main attraction is the view. We were told it was the best place on the island to view the sunset and they weren’t wrong. It’s just incredible. The only downside is that there is an electricity pylon obstructing the view – not ideal! I climbed to the top of the stairs to get the perfect sunset shot. The view from our hotel, San Antonio. Once the sun had set and everyone had said their ‘Ooo’s’ and ‘Ahh’s’ the food was brought out to us. I ordered the Strawberry Salad with Walnuts. I’d never before eaten strawberries in a savoury dish so this was new for me! I loved it. So refreshing and sweet. The rest of the group ordered tapas, sharing plates such as king prawns and halloumi. When it was time to leave, we walked back up the cliff where lanterns had been lit with candles all the way up the stairs. It was a magical evening. 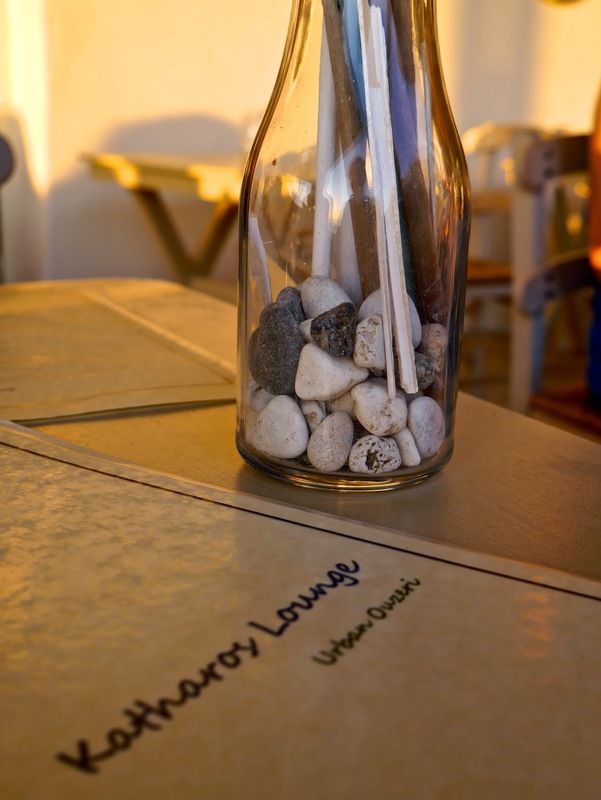 Come back tomorrow to see what we got up to the following day in Fira!